They were the young “WW II Vets” when they finished 6th grade at the Danao Central School – Upland (now D.T. Durano Elementary School in 1950. They survived the ravaged of war as young kids and their schooling got disrupted for over 2 years. The Class of 1950 will celebrate their 60th Elementary Graduation Anniversary sometime this year; final date and activities will be announced in due time as the leaders of the class headed by Msgr. Pascual Ypil are still finalizing their plans for a big celebration. Some of the graduates in this photo were as young as 5 years old when the war broke out. Their schooling were disrupted few days after the bombing of Pearl Harbor when the Japanese Imperial Army also invaded the Philippine Islands, being an American territory at the time. Classes were immediaely suspended when the Japs started bombing Cebu shortly before Christmas in 1941. The Poblacion residents of Danao evacuated to the mountains and children tagged along. The came down back to the town proper two years later when the American liberators came to Danao driving the Japs away from the poblacion into the hinterlands of Cebu. Elementary school re-opened after the the Japanese invaders surrendered sometime late 1945. 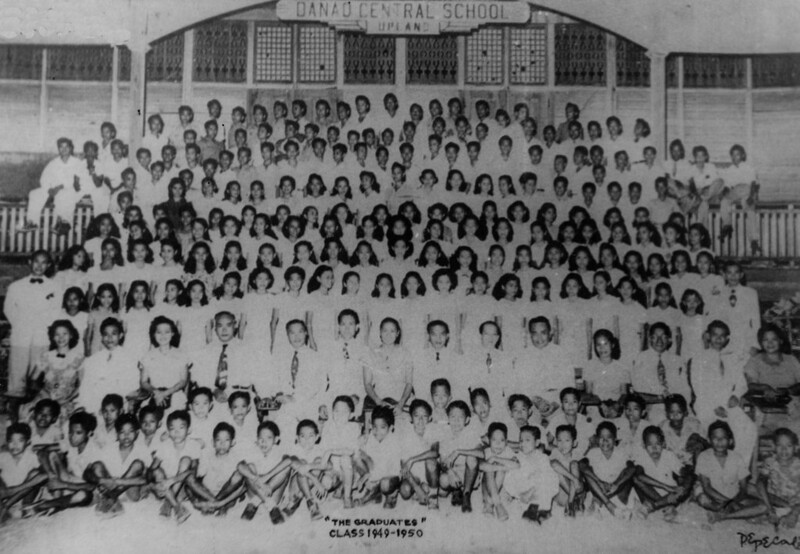 Because of the nearly 3-year “long vacation”, the Danao Central School was overwhelemed with new enrollees when the school re-opened in 1945. This resulted in a large class size in each section according to Nick Gonzalez, a member of this class. Nick said there were not enough classroom to accommodate returning and new students. Also, during the American occupation, schooling was mandatory; if a child was of school age and was not in school, parents could end up in jail. Among the prominent member of this class are Msgr. Pascual Ypil, Fr. Mariano Batucan, Dr. Leonara Barriga-Philipps, City Councilor Alice Barriga-Durano, Nick Gonzalez, Ben Durano, among many others. Since they celebrated their 50th anniversary, the class regularly holds a reunion in the month of December.